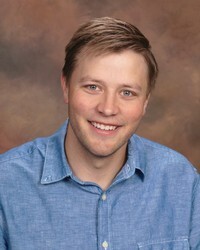 Dr. Ben Jorgensen was raised in Spencer, Iowa and received his undergraduate and dental degrees from the University of Iowa. Following dental training, Dr. Jorgensen was accepted into the endodontics program at the University of Iowa from which he graduated in June 2014. While at Iowa, he also met and married his wife, Emily, who is currently finishing up a residency in oral pathology. Dr. Jorgensen is a member of the American Dental Association and the American Association of Endodontists, and he is in the process of gaining board certification with the American Board of Endodontics. Recently, Dr. Jorgensen was appointed vice president of the Johnson County Dental Association. In addition, he has remained enthusiastic about teaching and will be serving as a part time faculty member of the endodontic department at the University of Iowa. While not treating patients, Ben enjoys playing as many sports as possible, fishing (preferably in Alaska), and spending time with family and friends.